Dr. Spiegel is available to supervise master’s students and co- supervise PhD students. Dr. Spiegel is also affiliated with the Liu Institute for Global Issues, where he has been Director of Global Health; is co-director of the Global Health Research Program, a WHO Collaborating Centre in in Occupational and Environmental Health; was director of the Centre for International Health from 2003 to 2010; and was founding chairperson of the Canadian Coalition for Global Health Research. He has led research and capacity building projects in Ecuador, South Africa Cuba and Slovakia, and is active in the Canadian Community of Practice in Ecosystem Approaches to Health. He has 15 years of experience as a senior policy official with the Manitoba Department of Environment. 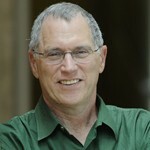 Dr. Spiegel’s research interests include effects of globalization on health, ecosystem approaches to human health, understanding and addressing influences of physical and social environments on health, global health and human security, economic evaluation of interventions, and health equity in Latin America.